Land fever has cooled, now is a safe time to invest in Phu Quoc real estate. The idea of ​​land fever is burning suddenly suddenly cool down when the law of administrative – economic special time delay review through the end of the year will make businesses are investing heavily in Phu Quoc disappointed. But no, while many surfing investors are stuck in a slowdown, strategic investors see optimistic signals. 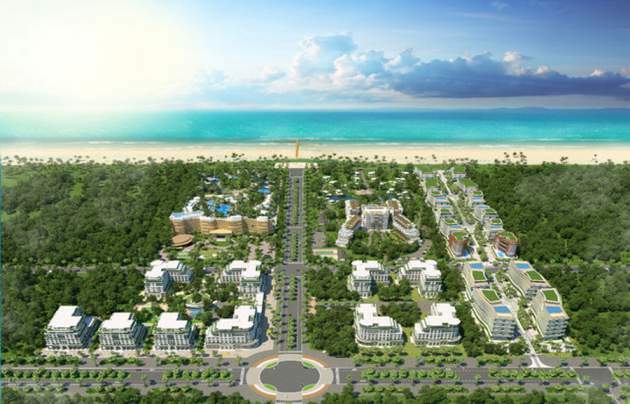 Phu Quoc real estate is still very attractive at the projects of reputable investors. Fever market will benefit real estate investment companies, but for enterprises with long-term investment strategy in Phu Quoc, the hot sauce market out of control brings more risks than profit. What is happening in reality shows that the value of Phu Quoc property associated with the development of tourism and although not yet special but no one can deny Phu Quoc tourism is still increase. There are still levers that make Phu Quoc a tourist paradise not only of Vietnam but rather of Southeast Asia, Asia. It is a 150km coastline with many beautiful beaches, sunny weather year round, no storms, rich forest system, easy connection with tourist centers in the area in just 1-2 flight time. In the coming years, Phu Quoc will be approved by the Prime Minister as the center of eco-tourism, high-quality resorts of the region and internationally, comparable with famous tourist destinations such as Phuket of Thailand or Bali of Indonesia. Many people like Phu Quoc as a pearl hidden in shaggy shell is being honed to glow. There are no tourist centers in Vietnam that have been invested big by the state such as Phu Quoc, with tens of trillion dong of disbursed capital to bring electricity from the mainland to the island. cross-island and island roundabout and new airport construction. No other locality has attracted the investment capital in tourism as large as Phu Quoc with a total investment committed up to VND370,000 billion. The big investors such as Vingroup, Sun Group, CEO Group, BIM Group are present in Phu Quoc and continue to accelerate the deployment of new projects to catch the influx of tourists. Especially CEO Group. After successfully putting into operation and operation of Novotel Phu Quoc Resort and Novotel Villas in Truong Son tourism center, Another five-star resort in Bai Truong – the most beautiful sunset spot in Vietnam, is the Best Western Son Son Resort in Phu Quoc with 549 apartments and 16 villas to ensure operation, as committed in the fourth quarter of 2018. According to information from the investor, the project is operated under the Best Western Premier brand, which is the highest brand name of the leading hotel management group in the United States Best Western. Thus, only a short time, the number of 4-5 star hotel rooms in Phu Quoc will be equivalent to Da Nang and Nha Trang. A breathtaking rate of return if you look back on the first 5-star hotel to be opened on the new island four years ago. The strength of Phu Quoc is also increasing due to more attractive tourist products. In addition to beautiful beaches, delicious seafood, attractive tourist attractions, Phu Quoc has launched the world’s longest cable car, and is preparing for a large-scale casino project that will allow Vietnamese to play. And it is not arguable, Phu Quoc tourism is accelerating strongly. As evidenced by the fact that the number of tourists to Phu Quoc has been skyrocketing over the past five years and according to the Kien Giang Tourism Department, Phu Quoc expects to welcome a total of 1.6 million visitors in the first half of this year, up 26.5% over the same period last year. These figures show that the development momentum of Phu Quoc tourism can not be resisted. 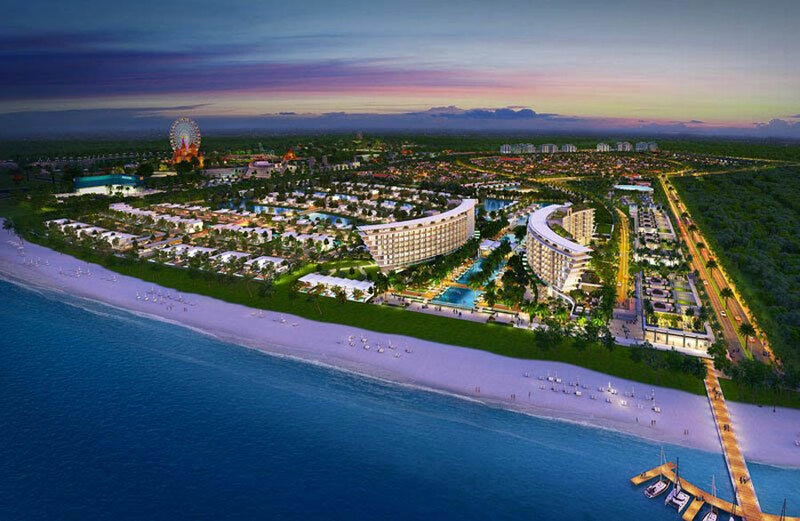 The boom of new tourist lines is the foundation for the development of the Phu Quoc real estate market, thus bringing sustainable profit and added value to investors. Hot fever in Phu Quoc real estate market has cooled down. Just as the waves have passed, the weather is calm, the sea has been quiet and now is safer than ever to invest in real estate resort in Phu Quoc, especially the projects of the prestigious owners. You are reading the article It is safe time to invest in Phu Quoc in the Real Estate category at https://realestatevietnam.com.vn/.Any information sharing, feedback please email to info@realestatevietnam.com.vn, Hotline 0909890897 (24/7).